This map was my entry for the 2nd NoGhost mapping contest. In the end it didn't feature as a winner, as I went so overboard on appearance it has to be said game play did suffer. 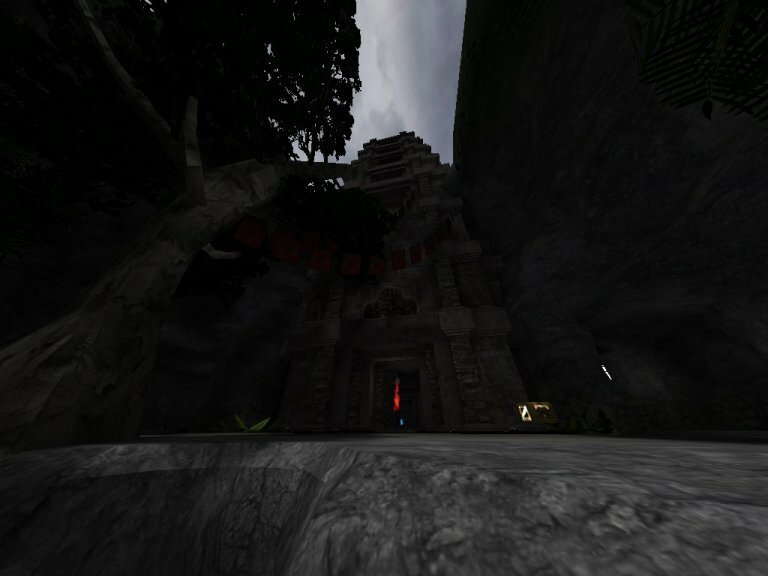 The level is based on Angkor Wat in Cambodia, picture an archaeological dig site, converted into a capture the flag arena, and you wont be too far off the mark. The level uses all new textures and models created especially for the contest. The map was built almost entirely from pre-made meshes and fitted together inside the editor. Poly counts are way high in some areas as a result of the amount of detail I crammed into the map.